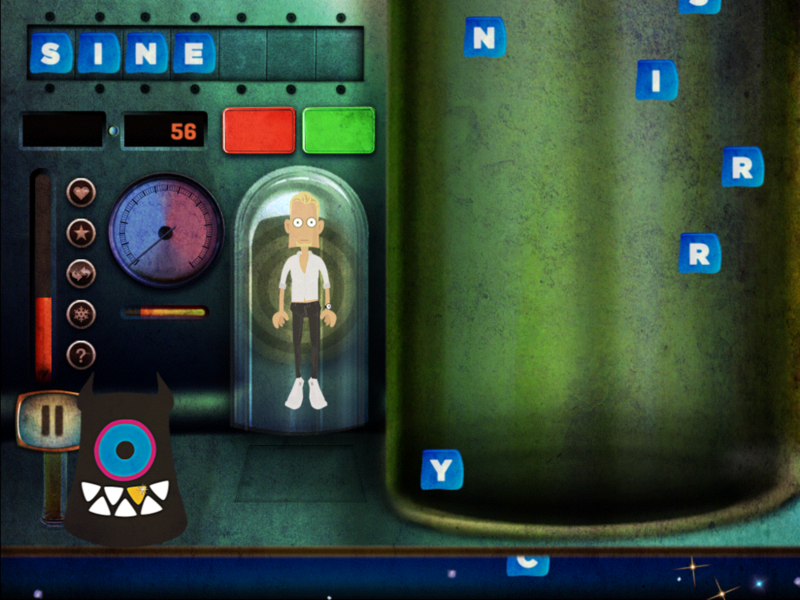 Abductionary is an addictive, fast-paced word puzzle game for the iPad. It was created entirely in-house from the concept and art direction to the music and films that accompany it. 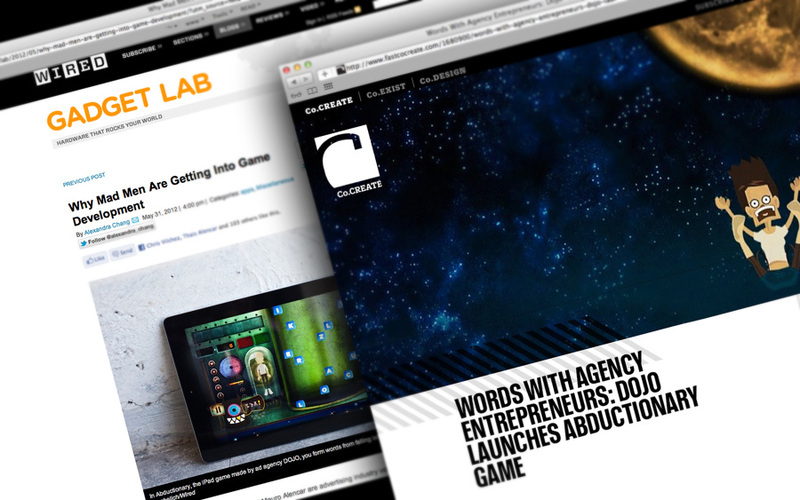 The game was featured in major news outlets such as Fast Company and Wired. It won the Appy Award in 2013 for best Educational/Family/Kids game and is currently being rebooted for Android and other platforms. "An evil alien race is getting ready to invade Earth but first they need to learn our human language." In Abductionary you play the role of an alien, sent to Earth by the evil alien overlord to steal words from the brains of humans. To launch the game, we created films to depict the affects of aliens stealing the words and give fair warning of the invasion.